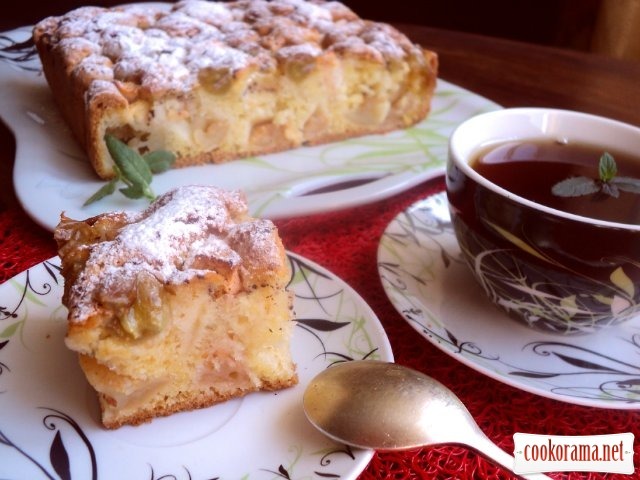 Incredibly delicious pie! 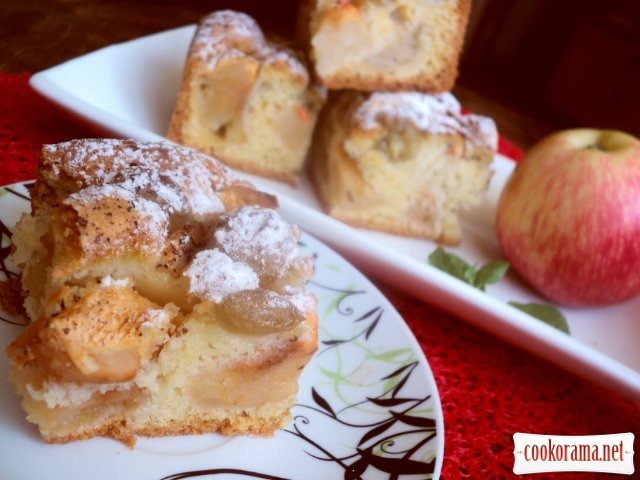 Aromatic, juicy, soft structure of dough — the perfect dessert for afternoon tea! 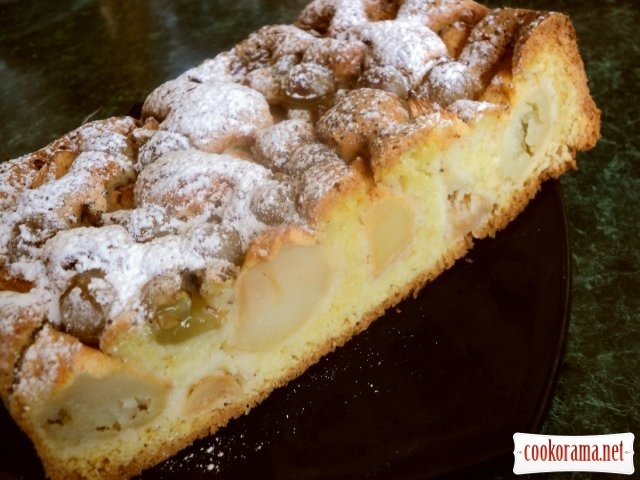 I recommend to to cook! Peel apples, remove seeds, cut in 6 parts. Tear grapes off from sprigs. 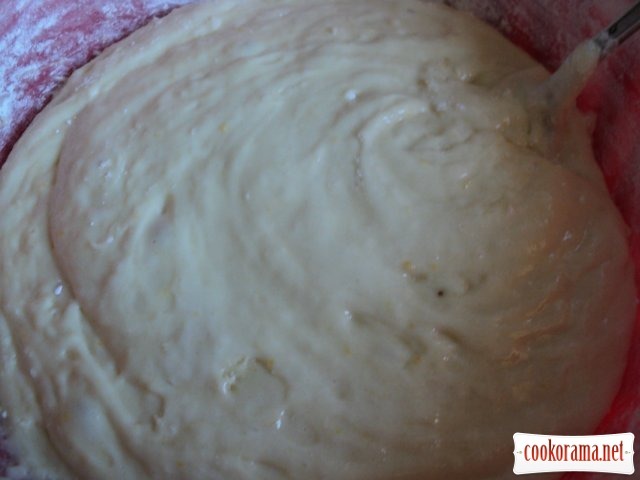 Mix eggs with sugar for 5-7 min. I mixed, putting bowl with eggs on saucepan with hot water, that bottom don`t touch water. At the end, constantly stirring, pour oil. 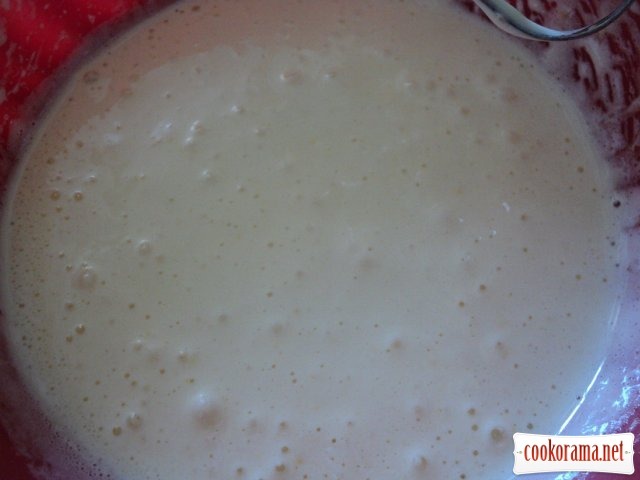 Next add flour in few portions, mixed with starch and baking powder. Cover form (I got of 20х20сm) with baking paper, grease with oil and pour dough. 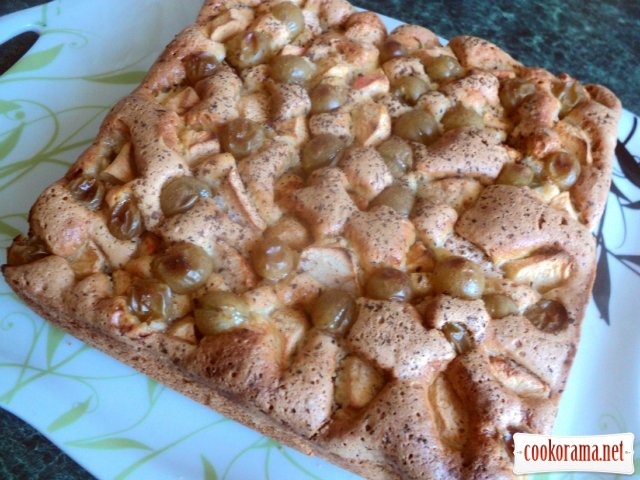 Put on top pieces of apples, pasting them perpendicular into dough, and grapes. Sprinkle with cinnamon. 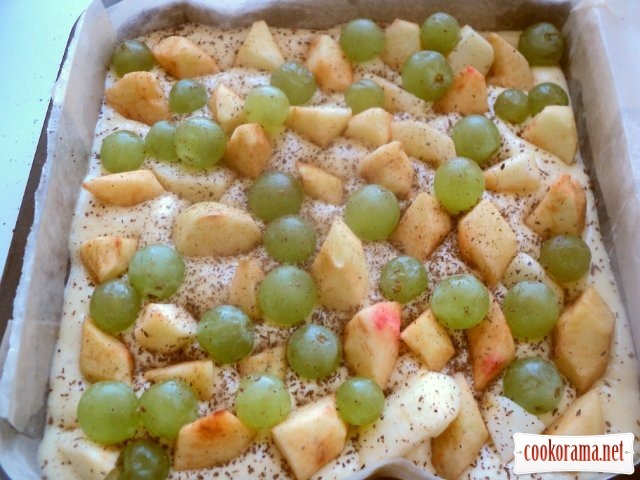 Bake at 180℃ for 45-50 min. Cool it. Cut in pieces before serving. 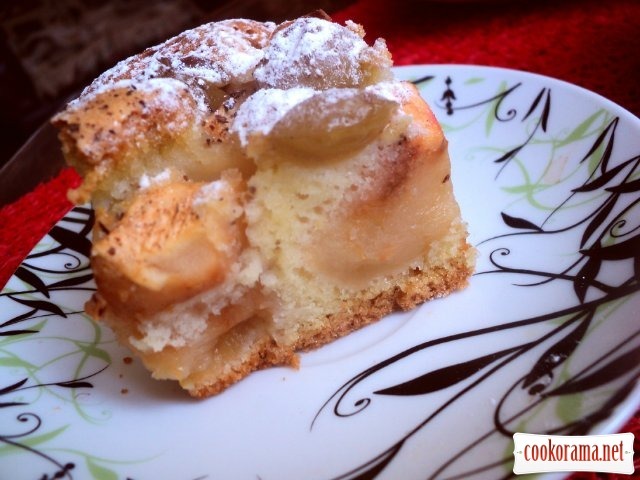 Top of recipe "Apple-grape pie"
Який оригінальній пиріжок! Ніколи не куштувала випічку з виноградом! Виноград придает приятную кислинку и очень хорошо сочетается с яблоками! Спасибо за отзыв! Такая вкуснятина!!! Спасибо за рецепт!!! Міла, пиріг дуже і дуже!